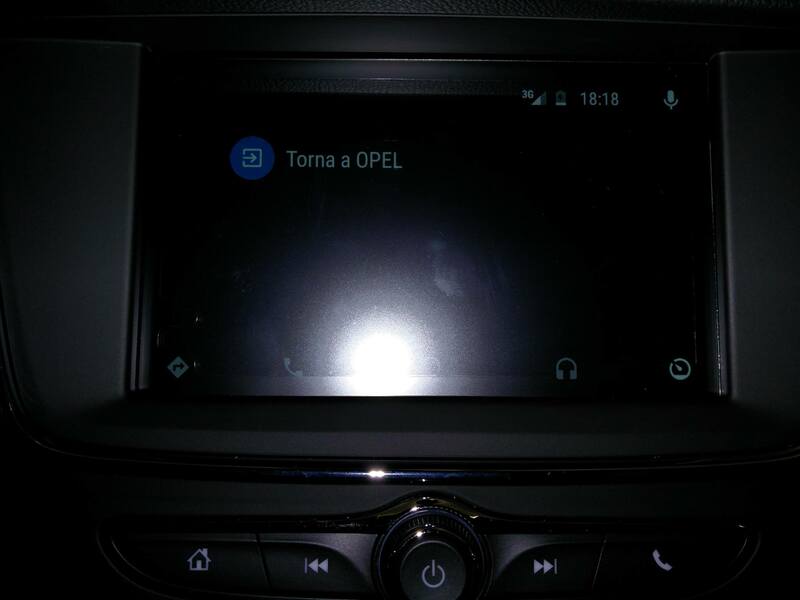 Well yes, not only reviews and tests only for products like computer but today we are also on car industry testing the new Opel Astra Elective which supports Android Auto. First of all, before I start, I want to thanks my friend Davide, who works in Opel workshop, for all of his patience and availability gave to me. Really thanks because he lets me to write this review. 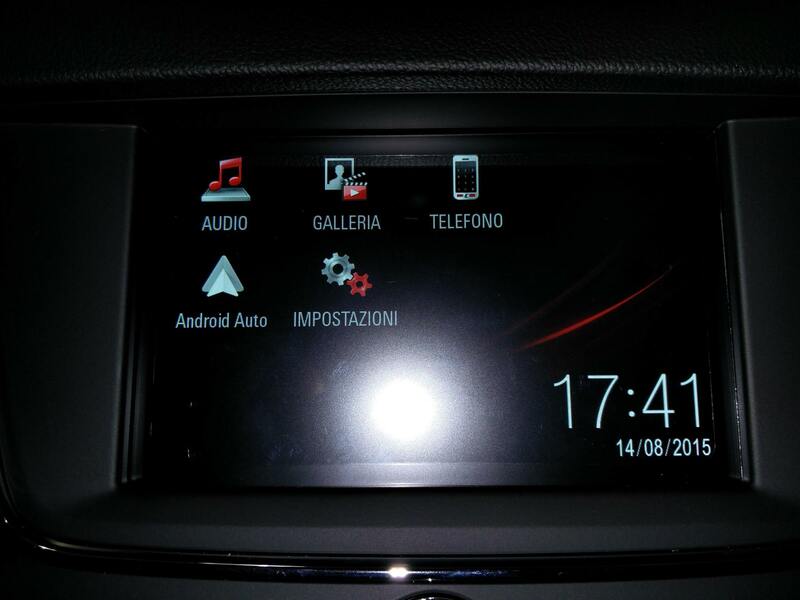 What I want to say, informally, is that Android Auto is what we see on our car’s display.. It seems a common operative system where, by default, there are different separate applications installed where you may have to update them for fixing bugs and you may need to go to your trusted mechanical. No, you have not to do all these things I wrote. It’s only a sort of “Screen Mirroring” or better, you see in your car’s display, what you should see on your smartphone’s screen. You may ask “what about apps?”. No problem with apps, they are directly to your smartphone! It sounds strange, no? 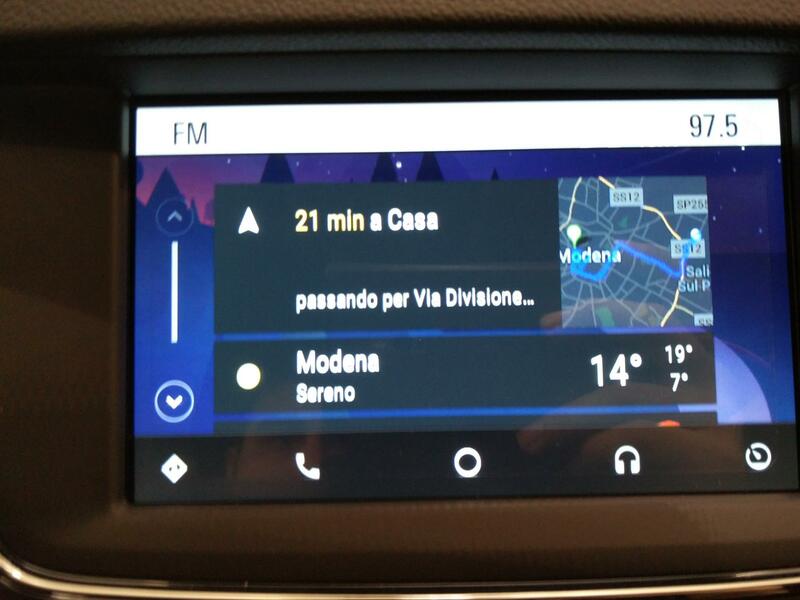 So ok, you might not understand what I’m saying and of course, what you can do with Android Auto. 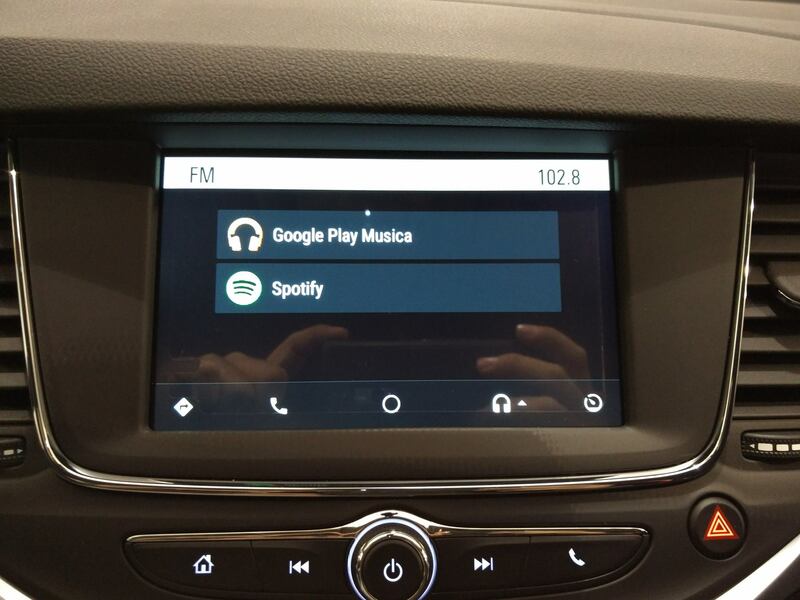 To give an example, you can think about using modern technology system (including functionalities of your smarphone) into every car that have Android Auto receiver. After installing official application via Play Store, you will be able to open, through display, apps which gives support such as Spotify, WhatsApp, standard functionalities like messages, calls, Google Maps, Google Play Music and many more. Of course to go on, you should connect your smartphone to your car using the USB cables. 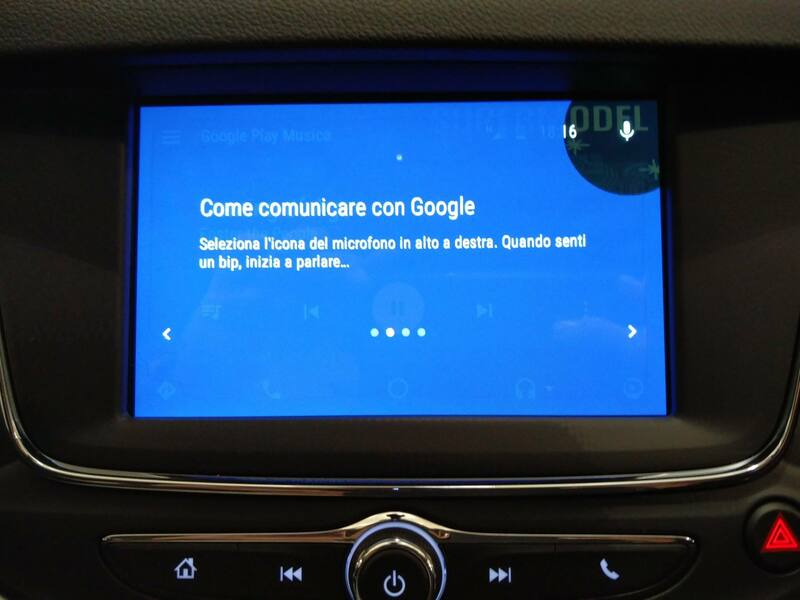 If we remove the automatic access to Android Auto when we connect the phone, or we exit from this mode without disconnect it from USB, the “Trasmission” icon will be the one of Android Auto. 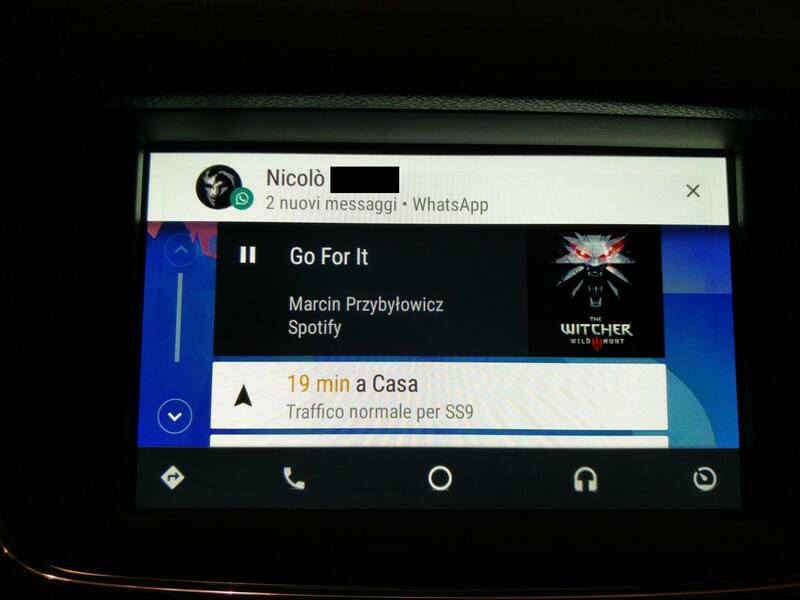 After connection, you can see a short and fast tutorial which explain you how to use Android Auto. 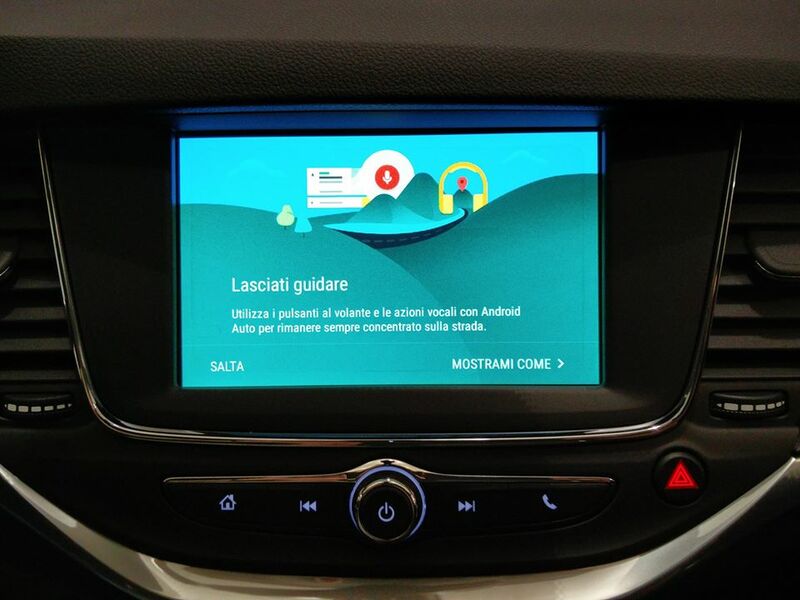 Of course if you haven’t install “Android Auto” application, you will be required to do it through Play Store. Here is the small tutorial where the app explain the first steps.. 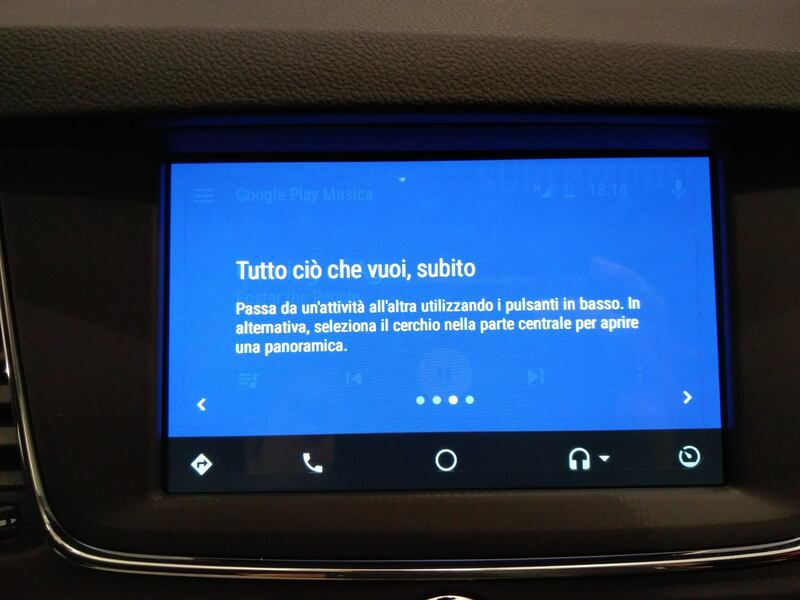 In this screen, Android Auto say that we can press button (available on steering wheel) to active vocal commands (and here we will use Google Now functionalities). We don’t like the button or it does not work anymore because we broke it? No problem, we could use the vocal commands by pressing microphone icon on the top right. And here, the app shows us menu’ which have the role of launcher. It lets us to access to various applications like navigator, phone, music, etc. About navigator, by default, it’s used Google Maps, Google Play Music for our music and the default app we have for everything we want. 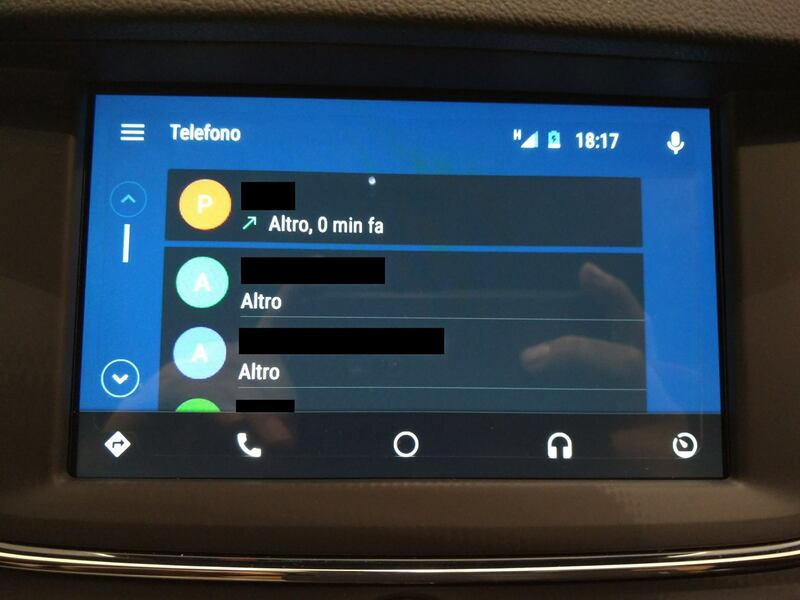 Of course we can use different messaging apps like WhatsApp, Telegram and so on but only if they are compatible with Android Auto. (They will be more soon). 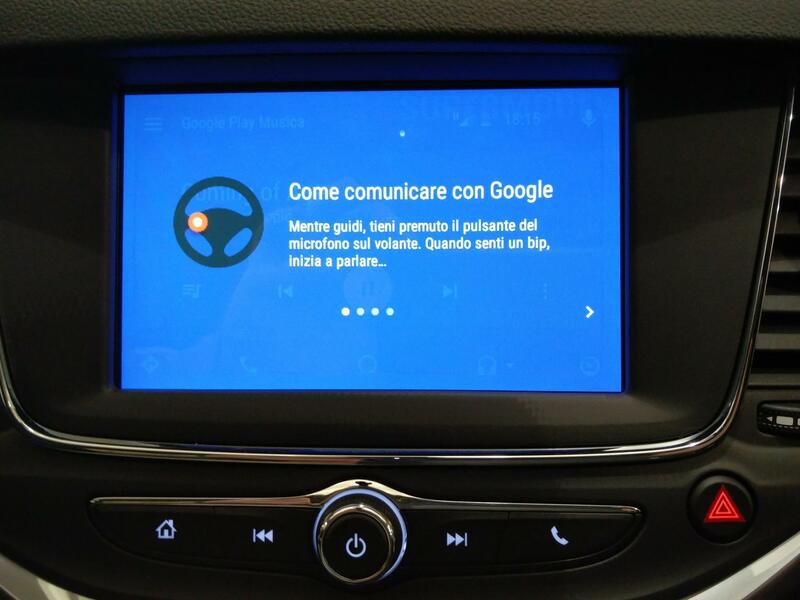 When all it’s loaded (and accepted warnings), we will be in front of first screen which is what we see into Google Now and so, what we see on our phone, we will see into car’s display.. In my case, I see that I can start navigator to drive to Modena or I can choose the last address that I’ve inserted into Google Maps. Other informations displayed are traffic, and how much the trip would take, in terms of time. We don’t like Google Play Music or we don’t have internet connection? 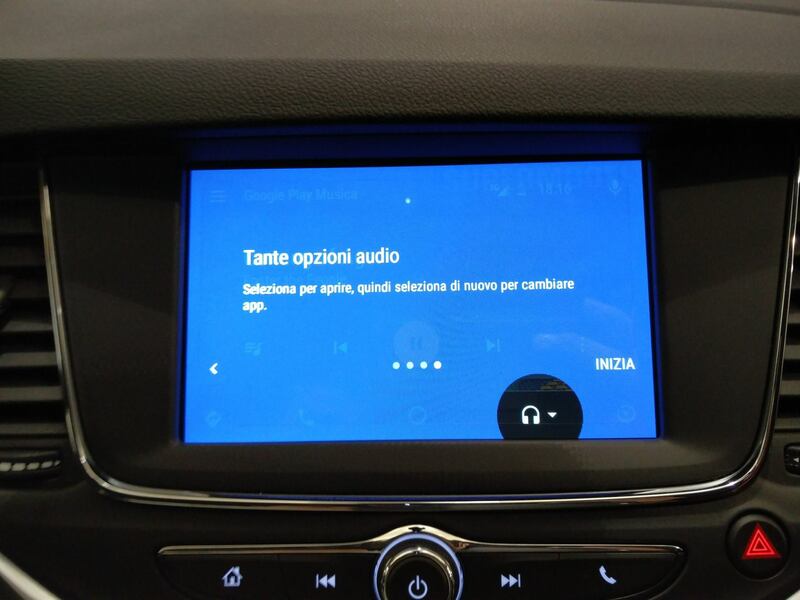 No problem we can use the default radio Opel system. Here’s how it will be. Note, we can also see the weather forecast.. It’s surely the Google Now! Touching the “Phone” icon, we can see our address book. If we want, we can also digit phone number and start calling. Naturally, we can use vocal commands when available by press on button on steering wheel or display. 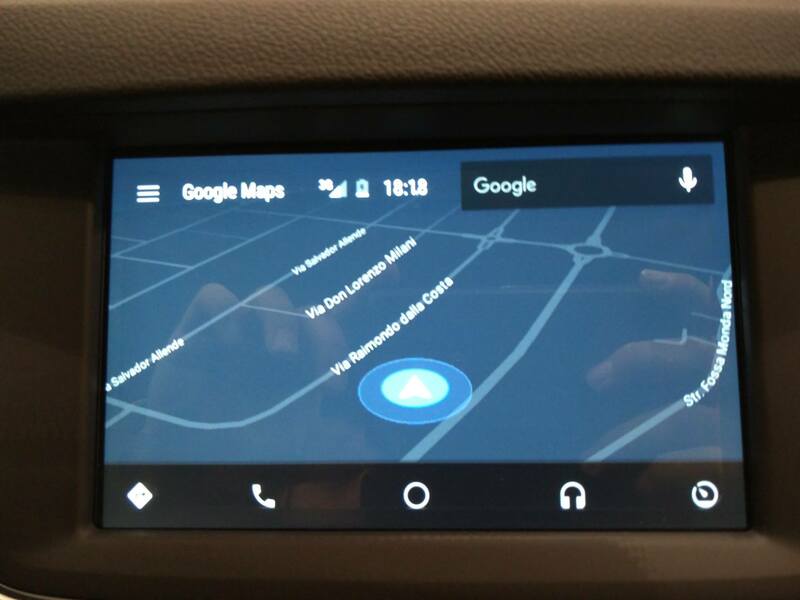 Starting navigation, as said, we have 3D view of Google Maps and also here, we can insert address by talking (through vocal commands) or write it with touchscreen. We was talking about choose different application instead of default.. When we press button on menu, if more apps are available for the selection, before the default we will be asked to select which one we want to use. For example, pressing music icon, we will be asked if open Google Play Music or Spotify. Yeah, Spotify is available (and we can see it through selections) and we choose it! 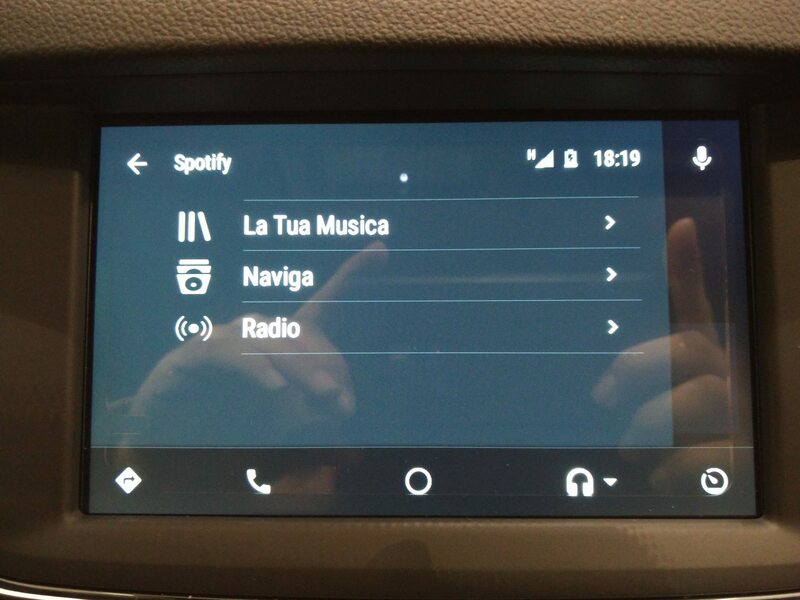 What say, we have convergence with different devices, in fact, using and installing only one application, we can have compatibility for phone and Android Auto. Spotify of course it’s really similar to what appears on our phone. Also WhatsApp it’s available with Android Auto and you can notice how the small notification appears when we receive message. Touching the notification (on display), the system will read us the message via TTS (Text-To-Speech) and we can obviously reply thanks to the vocal system. Anyway, we can also send a message saying “Send Message” followed with the name of contact. You received message and you have to reply without press keys on touchscreen? If available, we can answer with a fast standard reply like “I’m driving, sorry!” as WhatsApp do. 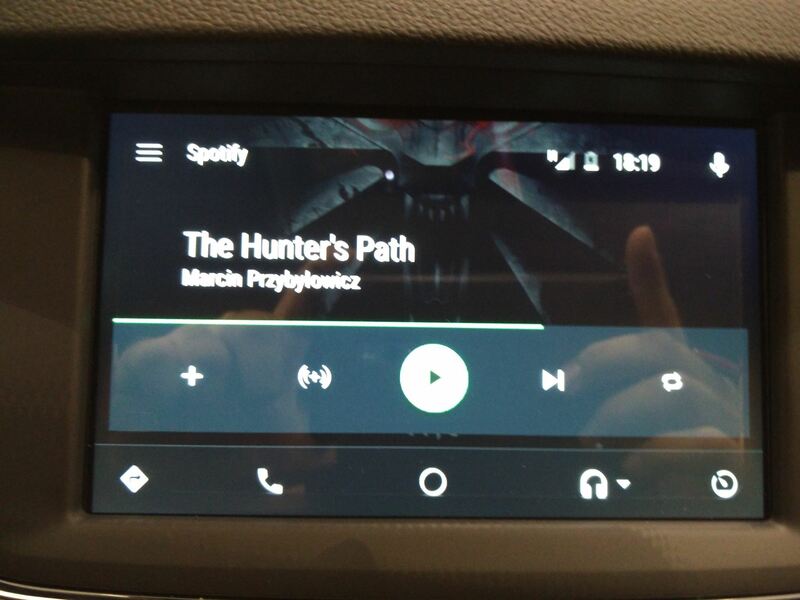 You don’t like or don’t want to use Android Auto anymore? You’re free to exit (also with smartphone connected). What I can say, in my honest opinion it’s really curious and nice.. Maybe if the maps of Google Maps would be more updated like “Tom Tom”, it would be really something perfect. 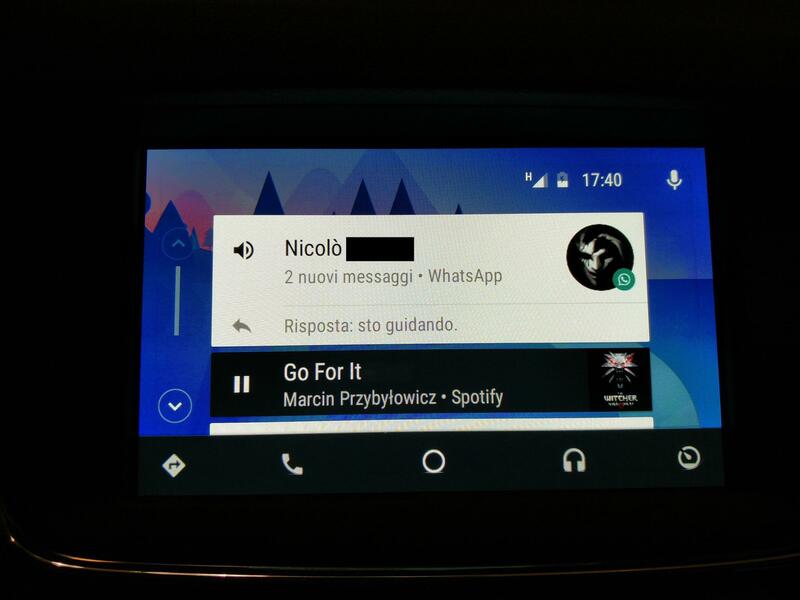 After all, also the possibility of developing own applications for Android Auto or using existing one for music, messages, and so on.. It’s something really nice. About me, I like it and it deverves all the best. Really congratulations to Google! Of course, if you’re instered into developing apps, having more details or see who supports Android Auto, you can visit this website: https://www.android.com/intl/en/auto/. Note: if you found something incorrect about what I said or about my not best english, write into comments please.. Thank you! 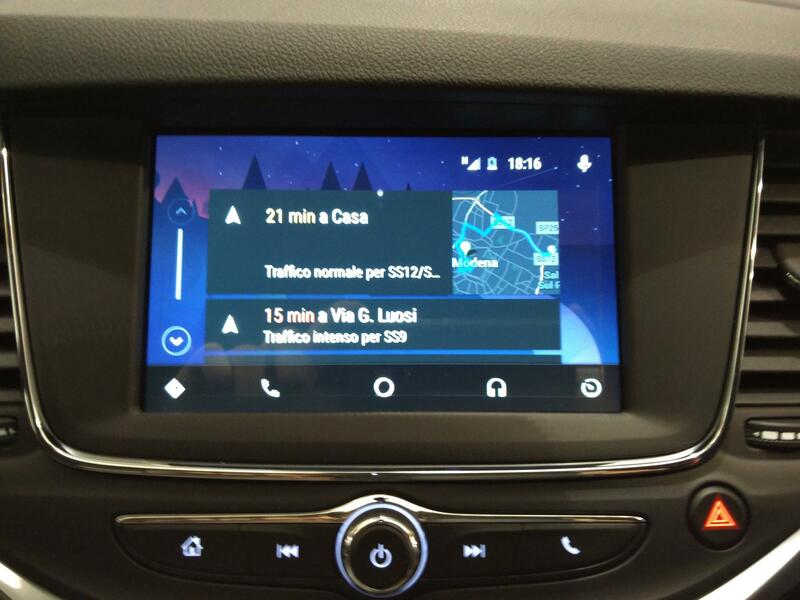 L’articolo Test Android Auto – New Opel Astra [ENG] sembra essere il primo su Mirko Pizii | Grab The Penguin.